Colombia’s vice-president embarrassed President Ivan Duque on Monday, mistakenly saying that the government is led by controversial former President Alvaro Uribe, Duque’s political patron. The blunder of Ramirez, a long-time ally of Uribe, further spurs speculation about who really is in control of Colombia’s government, the president or his political patron. The vice-president, who was Uribe’s defense minister between 2002 and 2004, is not the first to forget who her boss is. 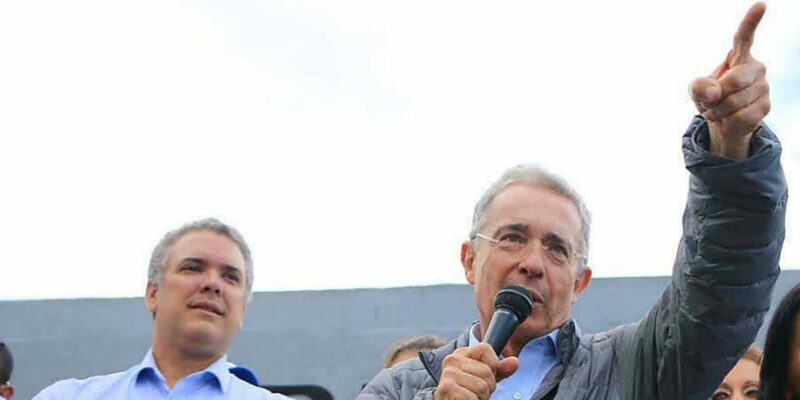 Duque’s justice minister, the transport minister, the foreign minister and the post-conflict commissioner reportedly also made the mistake of referring to Uribe as the president, and thus their boss. The former president, who was in office between 2002 and 2004, is the leader of Duque’s Democratic Center party and leading the party’s senate faction, often undermining his own protege’s authority. Duque’s apparent inability to exercise maximum authority over the government and the diplomatic corps have led to multiple mishaps. Furthermore, he has been unable to push legislation through congress. According to pollster Invamer, the president can count on the support of only 27% of the Colombian people only three months after he took office on August 7.